Welcome! Days left before March 28, 2019. The 2018 GIS Day committee congratulate all winners of the map gallery competition and thank all those who have participated in this year’s competition. Meet with other users to share experiences and knowledge. Attend many user presentations and technical sessions on how to use ArcGIS and other Esri software. Learn about the latest Esri technology advances. Meet face-to-face with Esri staff to ask questions and offer suggestions on how Esri can better meet your needs and improve product usability. ESRI International User Conference - San Diego, CA, July 08 - 12, 2019. Discover fresh ideas and proven solutions to energize your business. Attend the Esri Petroleum GIS Conference and discover more ways to improve your energy company's bottom line. Members of the petroleum community will share their most successful GIS applications for E&P, distribution, and business operations. See GIS technology innovations, discover products and resources, and talk to petroleum GIS experts. Esri Petroleum GIS Conference - Houston, Texas, May 15-16, 2019. ArcGIS Online brings you the resources of new features and improvements. You can find some of the topics below in this month's list, and more online. Introducing the Water Outage Template! 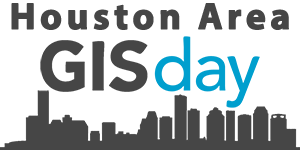 If you are a GIS professional or an Instructor in the Houston Area, please take the time to review the information about the Student Mentorship Program. There is no greater way for all HISD instructors/teachers to participate and show interest in their students' education and bright future. We are offering the $300.00 Houston-Galveston Area Council Geographic Data Studies Scholarship for high school and college students. You got Questions? Contact Us!